On November 26, in the afternoon, “Compass caring life, Compass joining life” –navigation and positioning chip product seminar of CEC Huada Electronic Design Co,.Ltd was held in Xiamen Victoria hotel, more than 80 companies in the related field of navigation and positioning from all over the country witness the conference of Compass chip HD8020, HD8030.The conference and seminar was mainly held by Beijing CEC huada electronic design co., LTD and Xiamen IOT association; Under taken by China Minsheng banking centre, Xiamen golden star emerging settlement payment technology co., LT.
And actively response to the prime minister Li keqiang’s call “Public entrepreneurship, People’s innovation “, hand in hand “Internet + company”– Tencent (Xiamen) the space, Baidu (Xiamen) developer center for entrepreneurship, Google (Xiamen) developer community incubation center, Xiamen lintop communication technology co., LTD. Jointly sponsor. Referring to navigation and positioning, our first thought must be GPS, in fact, China also has its own navigation and positioning system- The Compass. It is understood that China’s Compass satellite navigation system is original developed by China’s experts, has developed to the second generation at present. It is the third mature satellite navigation system after U.S. global positioning system (GPS), Russia’s GLONASS navigation satellite system (GLONASS) in the world. Along with the development of the era, the domestic mainly for military use satellite navigation system – The Compass satellite navigation system, has been gradually “flying off the shelves”. As one of the major terminal chip suppliers of domestic satellite navigation, Beijing CEC Huada Idea Design co., LTD. aimed to undertake the responsibility of promoting development of the industrialization of China’s Compass satellite system, constantly push new products. Recently, CEC Huada Electronic Design Co,.Ltd , cost 2 years time and CNY100 million to research and development into HD8020, HD8030 chip has been released finally and successfully. This chip has overcome the disadvantage of Compass chip like large size, large power consumption in the past, the problem of high price. It has been equipped high integration, small volume, low power consumption, multimode multifunctional and other features. It can be widely used in vehicle navigation information service, location-aware information service, intelligent dressing equipment, etc. Mass production of this series of chips means to break the aspect that our country navigation and positioning core chip market had been occupied by foreign chip for a long time in the past. 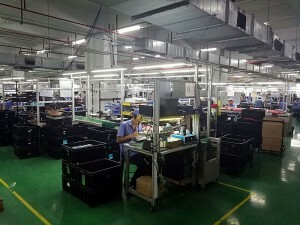 It really achieved the localization of core technology and core chip, implemented the leap from “made in China” to “created in China”, is of great significance. 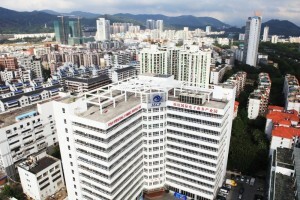 According to information, with the the construction of the Compass ‘s “Second Generation Phase 2″ global satellite navigation system, in response to a national strategy of “One Belt And One Road” development needs, under the strong promotion of CEC Huada in recent years, the navigation and positioning and chip design industry support service which were mainly designed for China has expanded to Asia, Europe, North America and around the world. CEC Huada HED released the latest navigation series product of chip HD8xxx, which can support the GPS, BDS, GLONASS and Galileo global positioning system, to meet the needs from different countries’ markets. Besides that, HD8xxx adopts the design of low power consumption, prepackaged DCDC and LDO module, low voltage monitoring functions, signal detection, etc. Therefore, it’s very suitable to be applied in ITO and wearable devices. In order to meet different market demand, HD8xxx provides the basis and high performance products, such as basic type have few features like fast positioning, smart power management, anti-jamming technology and the host -based/standalone mode etc. It’s very suitable for application in the wearable products, mobile products and sports products, etc. High-performance GNSS products except with all basic function, also has a strong processing capacity, support location information encryption, supports external LCD display control, supports secondary development, to realize the goal of customer about product miniaturization, low cost. It can be used in automotive, handheld navigation devices, electronic dog, golf ball machine and mobile security monitoring terminals and other products. 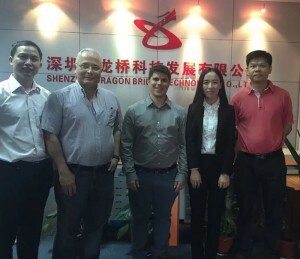 As the first cooperation partner of CEC Huada’s HD8020 and HD8030 chip, Xiamen golden net star league technology co., LTD. is a high-tech company based in Xiamen, which has not only set up the advanced talents of technology research and development team, but also has formed the advanced talents of technology research and development team, has participated in the the relevant project of national development and reform commission at the same time in a short span of six months. This company is developing rapidly. 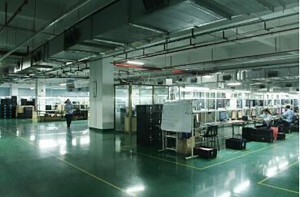 Next, with the mass production of the chip, Xiamen golden network star league will play an important role in various fields as the core technology widely used.